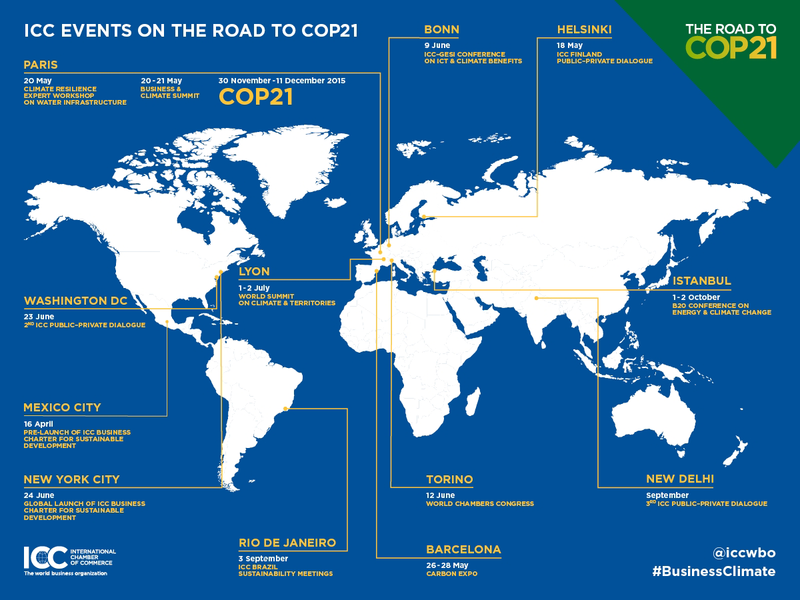 An unprecedented mobilization of 25 worldwide business networks representing over 6.5 million companies from more than 130 countries pledged today to lead the global transition to a low-carbon, climate resilient economy. At the Business and Climate Summit, there was a recognition that leading businesses are already taking action to build the prosperous, low carbon economy of the future. In all sectors, business has developed solutions, continues to innovate and is preparing to accelerate the scale and pace of deployment. Science calls upon national and international policymakers to reach a global climate deal at this year’s United Nations’ COP 21 Summit in Paris that would see the emissions trajectory peaking around 2020 and globally achieve net zero emissions well before the end of the century whilst keeping cumulative carbon emissions within one trillion tonnes as required by the UN’s Intergovernmental Panel on Climate Change. Business believes this objective is achievable and compatible with continued economic growth and human development if all actors work together in this urgent and long-term climate battle. Introduction of robust and effective carbon pricing mechanisms as a key component to gear investment and orient consumer behaviour towards low carbon solutions and achieve global net emissions at the least economic costs. The first goal is to boost energy efficiency. It also includes the elimination of fossil fuel subsidies to redirect consumption to clean energy sources. Such policies need to be carefully designed and implemented to avoid competitive distortions in some specific sectors. The establishment of an alliance between business and governments leading to the integration of climate policies into the mainstream economy. This should include enhanced public-private dialogues at global and national level, backed by a commitment to raise ambition in line with developments in climate science. A call for policymakers to leverage public funds and private sector finance, and to de-risk investment towards low-carbon assets, especially in developing countries. This should surpass the US$100 billion per year pledged in Copenhagen in order to shift the trillions of dollars needed to build the low carbon, climate-resilient economy. Ambitious and smart policies from government – both national and international – are required to help more companies take low carbon solutions to scale. Most businesses can be winners if this transition to a low carbon economy is made predictable by robust, long-term policies. Business called for more ambition from national governments in their Intended Nationally Determined Contributions (INDCs) and announced that they will actively support leadership from policymakers who set clear frameworks to accelerate investment and deployment of climate-friendly solutions. The Business & Climate Summit was initiated following the UN Secretary General’s call for the private sector to take a more active role in the world decarbonisation process at the UN Climate Summit in New York last year. As a midway point between that meeting in New York and COP 21 later this year in Paris, it marked a key moment for the business voice on climate action to be raised and heard by policymakers. The Business & Climate Summit called on businesses to develop and implement their own sustainability strategies in line with the science as described by the UN’s Intergovernmental Panel on Climate Change. Businesses should set clear climate targets, develop innovative solutions and step up large scale partnerships to accelerate transformational technology development. Peter Bakker, President of the World Business Council for Sustainable Development said: “The Summit has shown the determination and readiness of business to develop solutions for climate change that mean better opportunities for all. 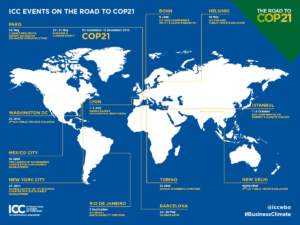 Over 80 companies are now part of the Low Carbon Technology Partnerships initiative and more business leaders and investors are signing up every day to campaigns such as those led by We Mean Business to demonstrate their action on climate. The business world is scaling up action, fast. Particular focus needs to be given to the developing world where funding mechanisms should be set up to fight poverty whilst leapfrogging towards a low-carbon development path. The Business & Climate Summit addressed some of the key climate issues impacting on the investment community as well as the business community. The climate change challenge will require a re-direction and mobilisation of traditional investment flows. Innovative mechanisms to leverage public finance and to use finance effectively in all economic sectors in developed and developing countries will be critical. The Business & Climate Summit, held at UNESCO Headquarters in Paris on May 20-21, brought together 2000 leading businesses and investors – 60% from outside France – with national and international policymakers to make the case that bold action on climate will ensure economic growth while limiting global temperature rise to less than +2°C. Read ICC Perspective on the 2015 UN Climate Agreement and International Climate Change Policy. Learn more about the ICC Commission on Environment and Energy.